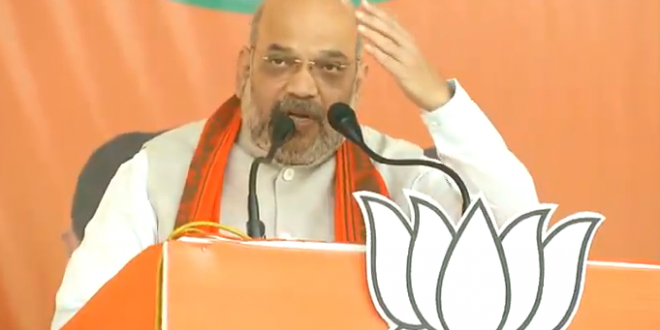 Keonjhar: BJP president Amit Shah on Firday slammed Odisha Chief Minister Naveen Patnaik for his poor understanding of Odia language even after ruling the state for 19 years. “Naveen babu has ruled Odisha for 19 years, but still can’t talk in Odia to his people,” said Shah while addressing a rally in Keonjhar. He said that governments of Congress and Biju Janata Dal (BJD) have wrecked Odisha. “Due to the complete lack of employment opportunities in Odisha, its youth has to migrate to other states to earn their livelihood,” he said. He also highlighted water scarcity issues and the problem of paucity of teachers in schools. He said the land of Odisha is rich in natural resources and minerals. However, the people of Odisha are still poor. “Under District Mineral Fund, Rs 1600 crore has been allocated to this district. The Medical College is being built from the money sent by the Centre,” he added.